An exclusive range of Promotional Eclection Flags is provided to our valuable clients at reasonable prices. Entire array of Flags is designed using tested approved material with the help of trained worker. Before dispatching to the patrons, all products are delivered within the committed time frame. 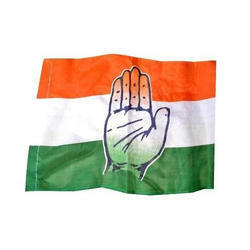 Our professionals gives immense importance in manufacturing the Congress Flags. We lay utmost importance in fabricating these flags with the help of skilled and well-versed designers. As these flags depicts the replica of national flag, we carefully design the entire range. 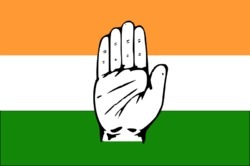 Congress flags consist of a palm, which is a mainframe symbol of the party. We feel proud to introduce ourselves as the leading organization in domain, engaged in manufacturing, trading and supplying an excellent quality range of Congress Party Flag. We are engaged in offering to our clients a wide range of Election Flag to our valued customers. We provide congress party's flag in all sizes. The Cotton Election Flag provided by us is used during elections by various parties. It has the symbol and name of the party.